The N.B. company is pulling its Topped Smoked Salmon flakes off the shelves. The Canadian Food Inspection Agency is recalling a flaked salmon product from a New Brunswick firm over concerns of listeria contamination. BLACKS HARBOUR, N.B. — A flaked salmon product produced by a New Brunswick firm has been recalled due to concerns over possible listeria. 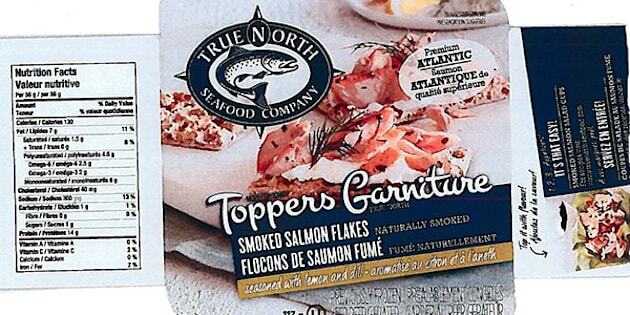 The Canadian Food Inspection Agency (CFIA) announced on its website Friday that True North Seafood Company's Toppers Smoked Salmon flakes seasoned with lemon and dill should be pulled from the shelves due to fears of contamination with the infectious bacteria. Listeria can result in symptoms such as fever, aching muscles and sometimes nausea or diarrhea, and there can be further complications if it spreads into the nervous system. The federal agency is warning consumers who have purchased the product not to consume it. True North Seafood is based in Blacks Harbour along the Bay of Fundy, and produces a wide variety of processed and unprocessed seafood products. The salmon toppers line is advertised as a ready-to-serve product that "enlivens" salads and hors d'oevres, and is available in a variety of flavours.